This article is about the capital of Western Australia. For the city in Scotland, see Perth, Scotland. For other uses, see Perth (disambiguation). Perth (/ˈpɜːrθ/ ( listen) PURTH) is the capital and largest city of the Australian state of Western Australia. It is named after the city of Perth, Scotland and is the fourth-most populous city in Australia, with a population of 2.04 million living in Greater Perth. 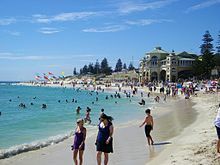 Perth is part of the South West Land Division of Western Australia, with the majority of the metropolitan area located on the Swan Coastal Plain, a narrow strip between the Indian Ocean and the Darling Scarp. The first areas settled were on the Swan River at Guildford, with the city's central business district and port (Fremantle) both later founded downriver. The central business district of Perth is bounded by the Swan River to the south and east, with Kings Park on the western end, while the railway reserve formed a northern border. [according to whom?] A state and federally funded project named Perth City Link sunk a section of the railway line, to allow easy pedestrian access between Northbridge and the CBD. 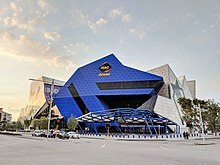 The Perth Arena is a building in the city link area that has received several architecture awards from various institutions such as the Design Institute of Australia, the Australian Institute of Architecture, and Colorbond. St Georges Terrace is the prominent street of the area with 1.3 million m2 of office space in the CBD. Hay Street and Murray Street have most of the retail and entertainment facilities. The tallest building in the city is Central Park, which is the eighth tallest building in Australia. The CBD until 2012 was the centre of a mining-induced boom, with several commercial and residential projects being built, including Brookfield Place, a 244 m (801 ft) office building for Anglo-Australian mining company BHP Billiton. 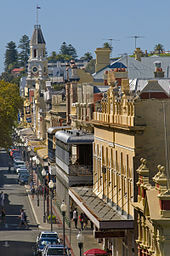 Perth is Australia's fourth-most-populous city, having overtaken Adelaide's population in 1984. In June 2017 there were an estimated 2,022,044 residents in the Greater Perth area, representing a population increase of approximately 1.0% from the 2015 estimated population of 2,002,114. Perth houses the Parliament of Western Australia and the Governor of Western Australia. 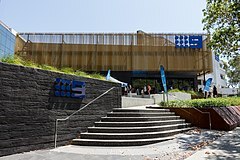 As of the 2008 state election[update], 42 of the Legislative Assembly's 59 seats and 18 of the Legislative Council's 36 seats are based in Perth's metropolitan area. 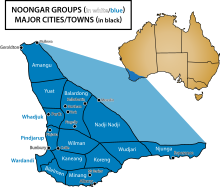 Perth is represented by 9 full seats and significant parts of three others in the Federal House of Representatives, with the seats of Canning, Pearce and Brand including some areas outside the metropolitan area. In 2012 the minimum requirements for students to receive their WACE changed[how?]. Perth has ten large hospitals with emergency departments. As of 2013[update], Royal Perth Hospital in the city centre is the largest, with others spread around the metropolitan area: Armadale Kelmscott District Memorial Hospital, Joondalup Health Campus, King Edward Memorial Hospital for Women in Subiaco, Rockingham General Hospital, Sir Charles Gairdner Hospital in Nedlands, St John of God Murdoch and Subiaco Hospitals, Midland Health Campus in Midland, and Fiona Stanley Hospital in Murdoch. Perth Children's Hospital is the state's only specialist children's hospital, and Graylands Hospital is the only public stand-alone psychiatric teaching hospital. Most of these are public hospitals, with some operating under public-private partnerships. St John of God Murdoch and Subiaco Hospitals, and Hollywood Hospital are large privately owned and operated hospitals. ^ a b "3218.0 – Regional Population Growth, Australia, 2016–17". Australian Bureau of Statistics. 10 September 2018. Retrieved 31 October 2017. ERP at 30 June 2016. ^ Statham, Pamela (1981). 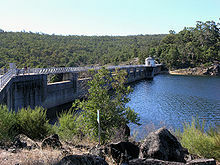 "Swan River Colony". In Stannage, Tom. A New History of Western Australia. Nedlands: University of Western Australia Press. ISBN 0-85564-181-9. ^ Godfrey, Norm (July 1989). The Value of Wetlands (PDF). Planning and Management for Wetland Conservation Conference, 15 June 1988. 372. Perth, Western Australia: Environmental Protection Authority. pp. 4–11. ISBN 0-7309-1911-0. Archived from the original (PDF) on 2013-12-13. Retrieved 11 October 2013. ^ Copyright Global Sea Temperatures — A-Connect Ltd. "Perth Sea Temperature | Australia Water Temperatures". 31.952240;115.861400: Seatemperature.org. Retrieved 2017-09-23. ^ "3218.0 – Regional Population Growth, Australia, 2015–16". Australian Bureau of Statistics. 28 July 2017. Retrieved 31 October 2017. ERP at 30 June 2016. ^ "2016 Data in Pictures, Perth". Australian Bureau of Statistics. 9 August 2016. Retrieved 2 July 2017. Known resident population, 9 August 2016. ^ "3218.0 – Regional Population Growth, Australia, 2016: Population Estimates by Statistical Area Level 2 (ASGS 2016), 2006 to 2016". Australian Bureau of Statistics. Australian Bureau of Statistics. 28 July 2017. Retrieved 26 October 2017. Estimated resident population, 30 June 2016. ^ "The Jewish population of Australia: Key findings from the 2011 Census". Gen08: the Australian and New Zealand Jewish Population Study. 2014-05-28. Retrieved 2016-05-17. ^ "Google Maps". Google Maps. Retrieved 2016-05-17. ^ Statistics, c=AU; o=Commonwealth of Australia; ou=Australian Bureau of. "2011 Census reveals Hinduism". www.abs.gov.au. Retrieved 2016-05-17. 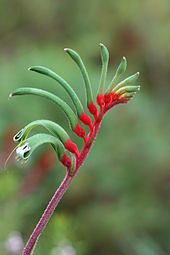 ^ a b c Statistics, c=AU; o=Commonwealth of Australia; ou=Australian Bureau of. 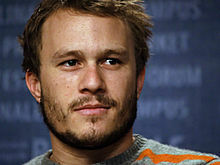 "Main Features — Losing my religion?". www.abs.gov.au. Retrieved 2016-05-17. 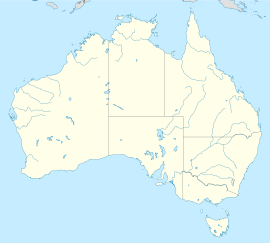 ^ Statistics, c=AU; o=Commonwealth of Australia; ou=Australian Bureau of. "Main Features — Most popular sports attended". www.abs.gov.au. Retrieved 2016-05-17. 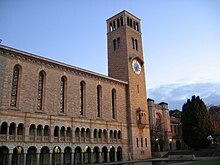 Wikimedia Commons has media related to Perth. 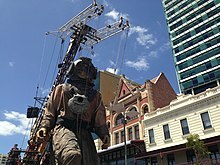 Wikivoyage has a travel guide for Perth (Australia).